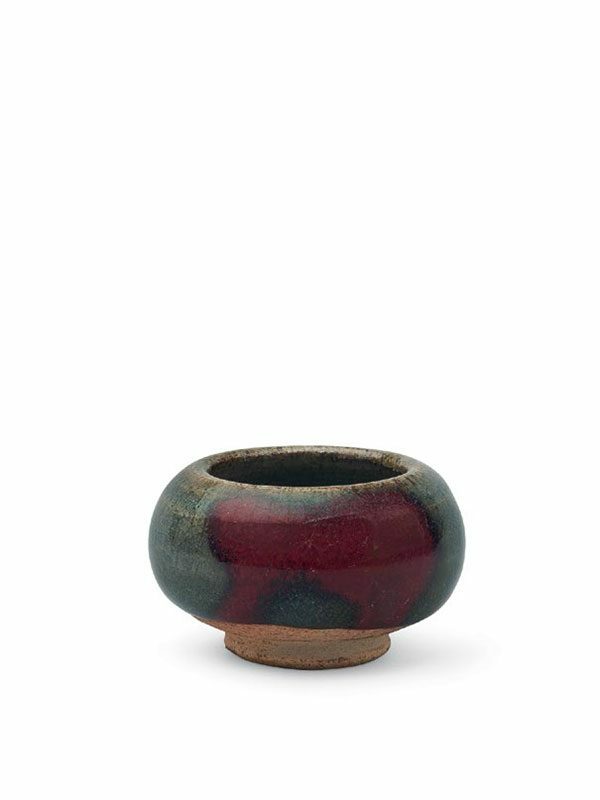 A small jun stoneware bowl supported on a low foot, the bulbous body curved in at the rim. The jar is covered in a thick, blue glaze that turns to a transparent olive green glaze at the rim. The exterior is enlivened by a single large splash of reddish purple. The glaze stops unevenly above the foot, showing the orange, coarse stoneware body.